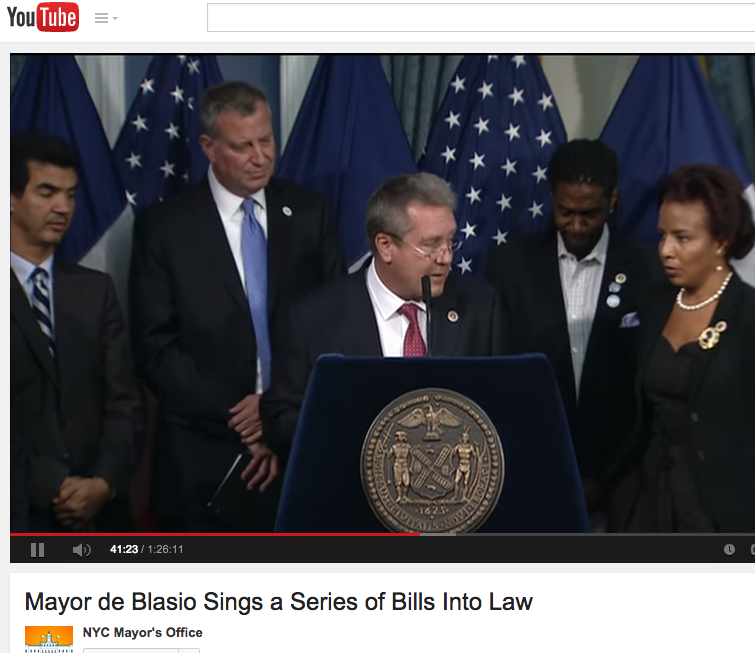 Timing: mayor deblasio "sings" (sic) bills? mayor deblasio "sings" (sic) bills? It appears our mayor is also a "singer (sic) of bills"
Plus the video and audio appears to be completely incoherent. It appears that our council will legislate next that you must be polite to everyone you meet and there will be a civil penalty for impoliteness. This "mutual admiration society" in our city government must end. And if not, any person with the means and intelligence will leave New York City. Please everyone consider running for mayor for the next election. And if you cannot, speak to your associates and neighbors. Please create "political clubs" etc. We need to get more involved!